Beginning with this post, we will be following the progress of my friend Diane, who is currently undergoing treatment for breast cancer and has generously agreed to tell her story. Along the way, we will provide reliable information and resources to help others following “the patient path” while dealing with, and managing, their breast cancer. 61,000 new cases of in situ breast cancer. This includes ductal carcinoma in situ (DCIS) and lobular carcinoma in situ (LCIS). Of those, about 83 percent will be DCIS, a non-invasive breast cancer. LCIS is a condition that increases the risk of invasive breast cancer. 2,600 new cases of invasive breast cancer. This includes new cases of primary breast cancer among survivors, but not recurrence of original breast cancer among survivors. According to the GLOBOCAN 2012 fact sheet from the International Agency for Research on Cancer (IARC) and World Health Organization (WHO), more than 1.7 million new cases of breast cancer occurred among women worldwide in 2012 (most recent data available). Global outreach is also available at Susan G. Komen. The National Cancer Institute (NCI) reports that breast cancer ranks behind only skin cancer as the most common form of the disease in US women, again with an incidence of only about one-hundredth the number of cases in men: in 2010, about 2,300 new cases of breast cancer were reported in men compared with about 230,000 new cases in women. In 2016, NCI’s Surveillance, Epidemiology, and End Results (SEER) Statistical Fact Sheet on Female Breast Cancer, like the ACS report, cites the number of cases in women as 246,660, with a death rate of about 40,450. The Centers for Disease Control and Prevention (CDC), using 1999–2013 cancer incidence and mortality data, also cites breast cancer as the top-occurring cancer among women (with skin cancer the most common form across genders), occurring in 123.7 per 100,000 women of all races and Hispanic origins in the US (Hispanic origin is not mutually exclusive from race categories). 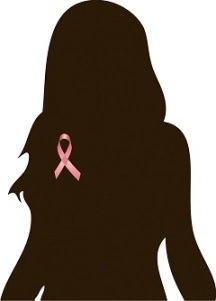 It further reports that breast cancer is the leading cause of cancer death in 20.7 per 100,000 American women. The NCI also states that the most common type of breast cancer is ductal carcinoma, which begins in the cells of the mammary glands (see the microscopic enlargement of a duct at the top of the page). Breast cancer that begins in the cells of the lobules and in other tissues in the breast is less frequent. Invasive breast cancer is cancer that has spread (metastasized) from where it began in the ducts or lobules to the surrounding tissue. Anatomy of Female Breast. National Cancer Institute. Click to enlarge. The CDC says that some women are at higher risk for breast cancer than others because of their personal or family medical history or because of certain changes in their genes. The short video animation below shows you how cancer forms in the breast. Going forward, we will dig deeper into this scary disease—but we will do it with hope. Medical science and personal heroism are doing much to blot out this blight on our health and well-being landscape. See Basic Information & Statistics below for more educational and informational resources. Now let’s follow one woman’s courageous journey with breast cancer, starting from where I learned about her story. . . . This was the first thing Diane told me about her breast cancer news: that she couldn’t believe it. A common reaction, I felt the same way when I was diagnosed with uterine (endometrial) cancer in 2013. Diane and I lost touch back then, but two months ago I learned from a mutual friend that Diane had breast cancer, and I emailed her to offer support. Through additional emails, I began to see that Diane’s approach to dealing with and managing her cancer was similar to mine: positive and proactive. She was definitely on “the patient path” as an informed, involved member of her healthcare team. We met for lunch on a lovely day in mid-June in downtown Flemington, NJ, a few blocks from the courthouse where the Lindbergh baby kidnapping “Trial of the Century” took place in 1935. Sporting a flattering wig, Diane looked as healthy, strong, and youthful (she’s in her mid-fifties) as the last time I saw her a few years ago. A believer in healthy eating and nutrition, she chose a restaurant that offered fresh and healthful menu options. We had a delicious meal and a fun, inspiring catch-up chat. Tall, slender, and attractive, Diane is someone I had secretly envied because she has always been committed to a rigorous health regimen, covering all the basics—a balanced diet, a regular exercise routine, a healthy lifestyle, and sensible hours. Except for this “little thing called cancer,” it paid off in general good health and well-being. The one thing she couldn’t control was the amount of estrogen flowing through her body. reduce breast cancer risk in women who haven’t been diagnosed but are at higher-than-average risk for disease. *See Johns Hopkins Breast Center – Breast Pathology for information on interpreting your own pathology report and My Breast Cancer Coach for a personalized information guide based on your pathology results. By the time the tumor was biopsied on March 30, 2016, it measured 4 cm (a little more than 1½ inches). Diane said “it was significantly smaller when I went to my gynecologist about it last August.” This means the tumor grew quite a bit since she first felt it the year before. So her breast specialist (surgeon) referred her to an oncologist for chemotherapy to reduce the size of the mass before surgery. A multigated acquisition (MUGA) scan, which some people may need before chemotherapy to find any pre-existing heart condition. Also, some types of chemotherapy, such as anthracyclines, may damage the heart during cancer treatment (see Adriamycin below). Using zinc as a contrast material, the scan creates video images of the lower chambers of the heart (ventricles) to check for any abnormalities in size and whether they are pumping blood properly through the heart. Other names for this test include cardiac blood pooling imaging, nuclear heart scan, nuclear ventriculography, and radionuclide ventriculography. Her chemotherapy protocol consists of 4 doses of a combination drug—AC—and 12 of a third drug—Taxol, for a total of 16 treatments. AC is a cocktail of two chemotherapy drugs: doxorubicin, which goes under the band name Adriamycin, and cyclophosphamide, whose brand name is Cytoxan. Adriamycin belongs to a group of chemotherapy drugs known as anthracyclines (a type of antibiotic). Cytoxan is one of another group of chemotherapy drugs known as alkylating antineoplastic agents, which damage the DNA of cancer—as well as normal—cells, particularly cells that divide frequently, such as those in the gastrointestinal tract, bone marrow, testicles and ovaries. At this point, Diane is finished with her 4 doses of AC and is now halfway through her 12 weekly doses of Taxol, the brand name for paclitaxel. This class of chemotherapy drugs, known as taxanes, interfere with the ability of cancer cells to divide. And she does appreciate a little help. Diane told me about two organizations that assist women undergoing active treatment for breast cancer: Cleaning for a Reason, a volunteer group that offers free monthly housecleaning, and Look Good Feel Better, also a volunteer group that does makeovers and offers free beauty products. Not only that, but she learned about a respite home, Mary’s Place by the Sea, where women undergoing cancer treatment can stay at a beach house free of charge for up to three days and be nurtured and pampered. Diane said, “While there, we can participate in yoga, meditation, counseling, reiki, massages, and other activities. I was so excited to find it and immediately signed up.” I wish I had I known about these services a few years ago! See more under Services & Support below. I am looking forward to getting together with Diane soon for another healthy meal and also a walk in the park—although I already know I won’t be able to keep up with her. But her experience with getting properly diagnosed early on cannot be described in very positive terms. As we’ll see next time when we look back at the start of her story, Diane’s instincts were intact and were ultimately more trustworthy than her gynecologist’s and breast specialist’s early opinions. Here’s to the success of all our sisters (and brothers) with breast cancer and our sisters with any of the gynecologic cancers. 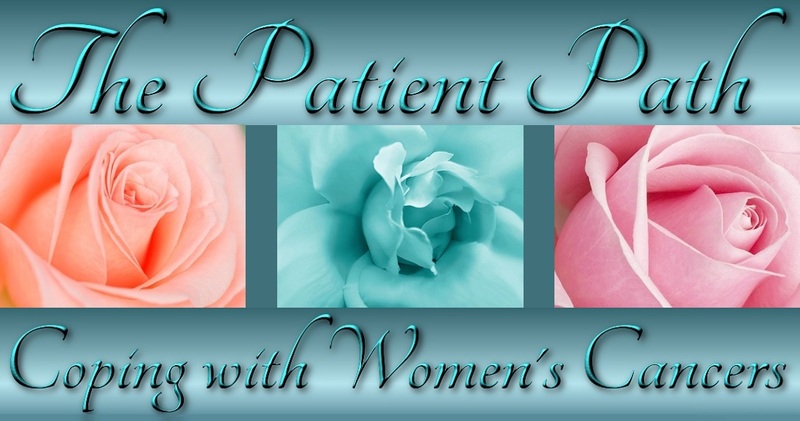 Previous Post My Uterine (Endometrial) Cancer Story: Two-and-a-Half-Year Checkup–Pap or No Pap? Thanks so much, Pat. I am grateful to you for informing me of Diane’s condition. She’s traveling a very rough road, but doing so with strength, dignity, and resolve. I’m so happy she is sharing her story for the benefit of others.